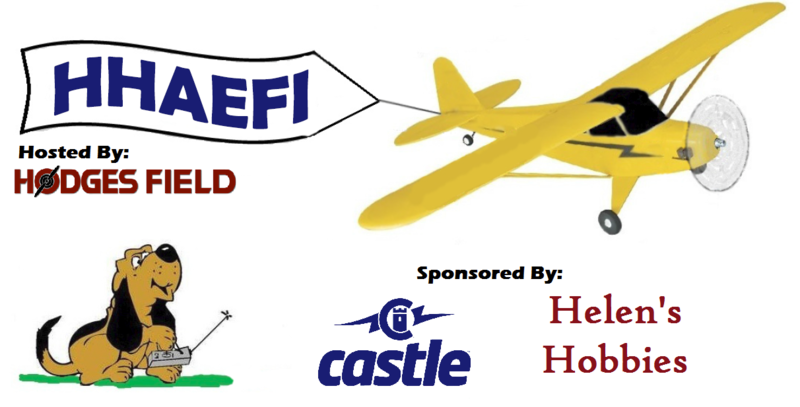 HHAEFI is now in its 11th year and keeps getting better every time! This is a laid back, relaxing, and fun event that offers plenty of friends, flying, and fun. Once you experience Mac Hodges' pristine flying field, lake, and facility you will be coming back for years to come. Camping Fee for one night of camping with 15A electrical service and water. For multiple days please add multiple times. Camping Fee for one night of camping with 30A electrical service and water. For multiple days please add multiple times. Camping Fee for one night of camping with 50A electrical service and water. For multiple days please add multiple times.